We are living in an age of technology where everything is getting revolutionized with the passage of time. Even few years back, the influence of social media was not as strong as it is today. Availability of plenty of social media platforms like Twitter, Instagram, LinkedIn and last but not the least Facebook has changed the scenario of everything. Facebook is a giant that is penetrating into our lives. People do not only use this platform for socializing but also it is being used for launching successful marketing campaigns to target people. People across the boundaries including Dubai are using this platform extensively for the attainment of their marketing goals. Have you seen that when you visit any brand page online or add things into cart but do not buy or search hotels online for a planned weekend trip but as soon as you close your tab for that brand and log in to Facebook, that same brand start showing up on your Facebook feed. Have you wondered how that is even possible? That is in fact a Facebook marketing campaign known as Facebook Dynamic Re marketing Campaign. If you are interested in knowing what exactly that is then continue reading further. 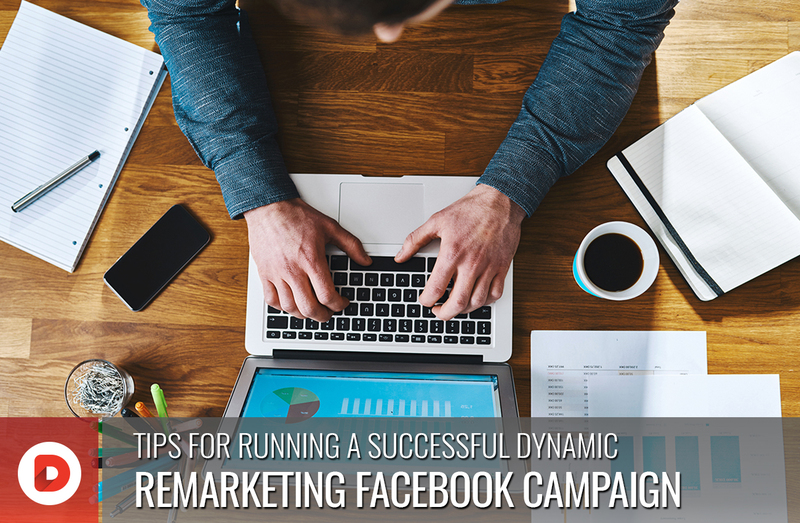 What is Facebook dynamic re-marketing campaign? A dynamic re marketing campaign is a technique of automatically promoting your complete product catalog across platforms like Instagram, Facebook and audience networks without creating hundreds of separate or individual ads. A Facebook dynamic re marketing campaign automatically displays your brand ads on Facebook to users who have visited your website or searched your products online. These campaigns are known as the hidden gems of this advertising world. Dynamic advertising through Facebook is a function that helps to re target the potential customers of a certain website. These potential customers have taken a certain action regarding the products of their interest e.g. they have selected a product from your website and added it in their cart but they have not purchased it. So this Dynamic Facebook re marketing helps to pop up these products again and again on the screens of the related customers. Content that is served by dynamic re marketing to the users is customized according to the products that are viewed by the user. You just have to set a tracking pixel on the website and upload the full catalog on Facebook. After creating the ad parameters, rest of the responsibility is taken by Facebook. Here we are going to illustrate some useful tips for running a successful dynamic re marketing Facebook campaign for SEO in Dubai. People across the border must focus on these tips to get the most from their re marketing campaigns to turn potential buyers into purchasers. A digital agency can also help with running this re marketing campaign. Facebook pixels can be added to your website. Secondly Pixel Caffeine which is a Word Press plug-in can be utilized for re marketing Facebook campaign. Once through tracking system this new custom audience is created, it becomes easy to craft tailored messages for this audience. 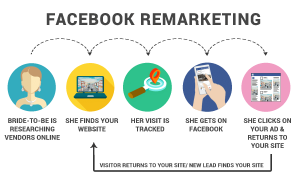 Divide your audience for Facebook re-marketing campaigns: When you are going to launch re marketing Facebook campaign, there is a need to segment your Facebook audience. The most common mistake that is done while conducting these campaigns is the ignorance towards these segmentation. As a matter of fact, visitors of your website are not same. They have different intents and different expectations. So it will prove quite handy to segment your audience while launching a dynamic Facebook re marketing campaign. Audience can be differentiated on multiple bases like blog readers, certain landing page visitors, pricing page visitors, people who leave their carts without buying, loyal customers etc. Another important point is that you should post such ads on Facebook that match with the expectations of the targeted audience. Optimization for conversion: Key purpose behind these re marketing Facebook strategies is the conversion. With the help of Dynamic Facebook ads, you can re-target your audience based on different touch points. Your goal here is to optimize ads in a way that lead to conversion i.e. turning potential buyers into real time purchasers by re-targeting them and showing them the products they are most interested in. Your ad strategy focuses on showing most relevant data your user is interested in based on their previous experience. For getting maximum results for SEO in Dubai, your Facebook re marketing campaign in Dubai must focus on conversion as a result of that optimization to get the desired results. Enabling placement optimization: Placement optimization is another useful tip for running a successful re marketing campaign when you just want to sit around and let Facebook do its job by setting up your ads for automatic placement. Automatic placement includes Facebook placement, Instagram placement, audience network placement and messenger placement. In this automatic placement, Facebook will place your ads at a suitable platform for the sake of optimization by taking a certain decision on its own that where your ad will work wonders. For SEO in Dubai, this placement optimization enables Facebook to show ads for Dubai businesses at right place to people who have been looking for Dubai related content. Offer variation of content to Facebook for trails: Lastly, Facebook must be provided with different content options for running dynamic re marketing campaigns. Try using various content variations for trials as they enable advertisers to test all content (which let them have measurable data to see what works best). An ad can be trialed for ‘Free Delivery’ or ‘20% Discount Voucher’ to see the difference in results and analyze what attracts most customers. Companies looking to launch a successful dynamic re marketing campaign through Facebook, the aforementioned tips can help extensively. These tips do not only help to bring traffic to your website but also improve your ranking in search engines. A digital agency in Dubai is also using these methods extensively to increase businesses’ ranking in search engines for SEO in Dubai. We are living in an age of technology where everything is getting revolutionized with the passage of time. Even few years back, the influence of social media was not as strong as it is today.